Another Mobile Home Burns! Will Your Insurance will Cover your Home? 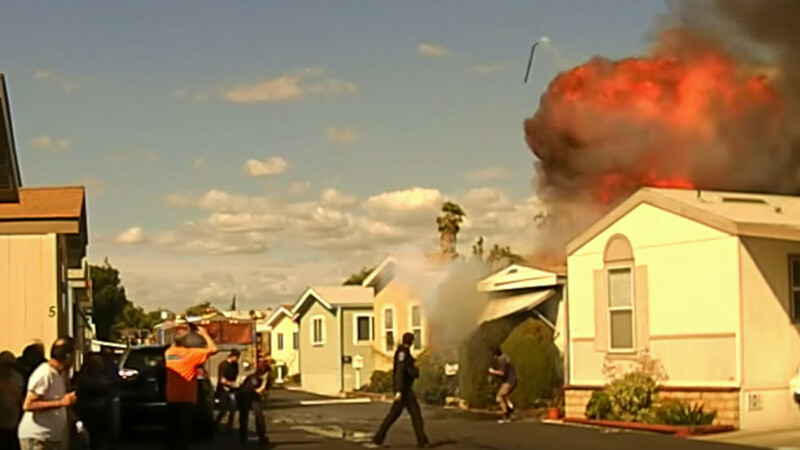 On March 15, 2018 a mobile home was destroyed completely by fire in the City of Cypress, Orange County. The photos show the devastation. The man inside the home suffered burns. According to a March 15 Orange County Register report the cause of the fire is still under investigation. Officers escorted the subject away from the residence seconds before an explosion occurred. When a fire like this happens the first questions or comment is, “We sure hope the owner of the home was insured.” Unfortunately, the answer to this question is frequently that the home owner is either uninsured or under insured. Fires happen. It could be your home damaged by a fire in a neighbor’s home or a huge disaster like wild fires where embers land on your roof and there is no stopping the damage and devastation that follows. The pictures of this disaster tell the story. Don’t be caught without insurance. It is recommended that you consult with a professional who specializes in insuring mobile and manufactured homes for your insurance coverage. The key is to have the home insured for replacement value. If you have a loan on the home and it is completely destroyed by a fire, you still owe the loan amount, plus you need to now replace the home. The insurance coverage needed will need to cover the removal of the old, destroyed home, the preparation of the lot for the placement of a new home, payment of the mortgage and the purchase of a replacement home. This could be a considerable sum, but far better to be insured for the total loss.